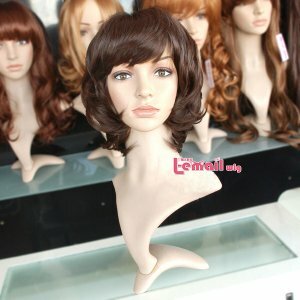 Not only as an important part of a costume, wig is also a fashion style for more and more young people in recent years. To get a fabulous wig item is really exciting, now let’s have a look at some of the basic introduction of the fashion wigs. The natural hair movement has been going strong, and with little to no lagging. With relaxer sales decreasing (as a direct result), it’s easy to see the major influence that natural hair is having on black women around the world. Despite this phenomenon, one area of hair care is not losing consumer interest, the hair extensions and wigs market. Black women are major consumers of extensions and wigs, regardless of the insurmountable flack they receive. One reason women like extensions is the versatility and extreme low maintenance. Another reason is because several companies are offering textured hair for those who want more length and less maintenance with the same or similar aesthetic as theirs. This was pretty much unheard of a few years ago as most weaves and wigs were catered to the relaxed hair look and most curly wigs resembled a mini, spiral rod sets. Back then you might see some 3B’s or a few 3C’s but the 4’s were either poor quality, lacked variety, or were not easily accessible. Manufacturers go where the consumers are, so as natural hair becomes big business, it only makes sense that we see more wigs, weaves, and extensions with natural hair textures being offered on familiar wig sites. The real news about this surge in natural hair extensions and wigs is that there are new extensions on the block! Naturals are creating wigs and weaves for other naturals. Some stores that have really put in the extra work to make some fab natural hair wigs and extensions. 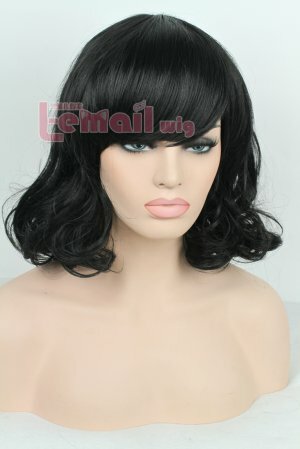 This entry was posted in Fashion Wigs, Wigs, Wigs Hairstyle Selections and tagged cosplay wigs, fashion wigs, wigs.